It seems like it's been ages since I last sat at the craft desk and made a new card. Life has been moving fast for me this past month. It's been a whirlwind of doctor's appointments and various tests. Only one more hurdle to jump and life can go back to normal. But, that is a discussion for another day. 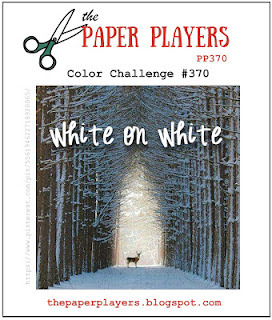 For now, it's time to share this pretty white on white card I made for The Paper Players. 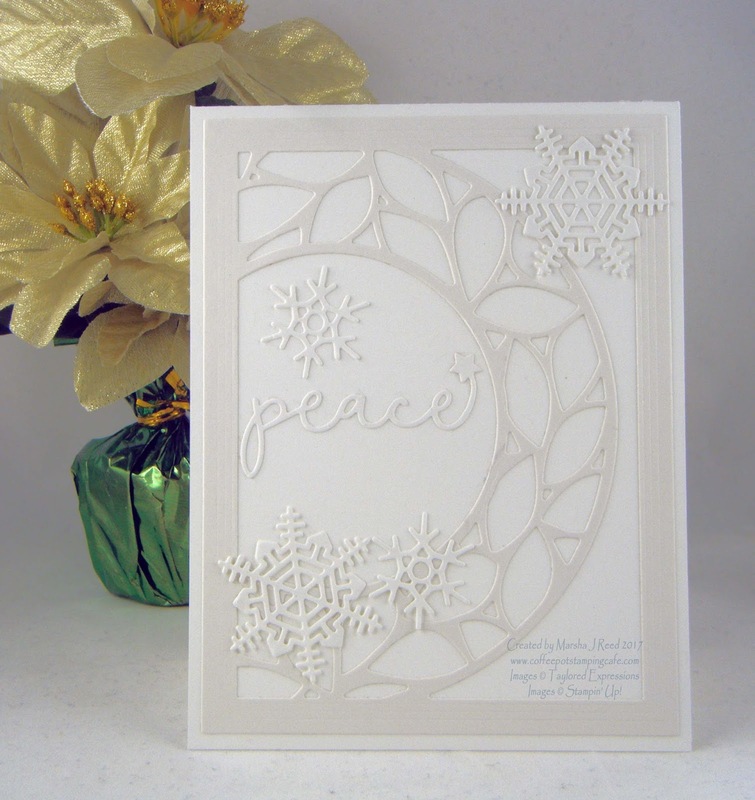 The card base and the snowflakes were done using Sugar Cube. For the wreath I used Shimmer White to offset it from the white of the card base. It let's you see more detail of the Wreath Cutting Plate. It's one of my favorite dies from Taylored Expressions. 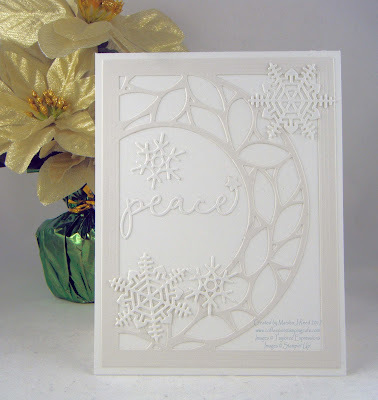 The snowflakes are cut using the Seasonal Layers Thinlits Dies from Stampin' Up! The word peace is a die from Taylored Expressions. The color I used is from The Paper Players Challenge. For all the challenge details and to share your project, click the image below. This is just gorgeous! What a great design. Thanks for playing along at The Paper Players...so happy you joined us!